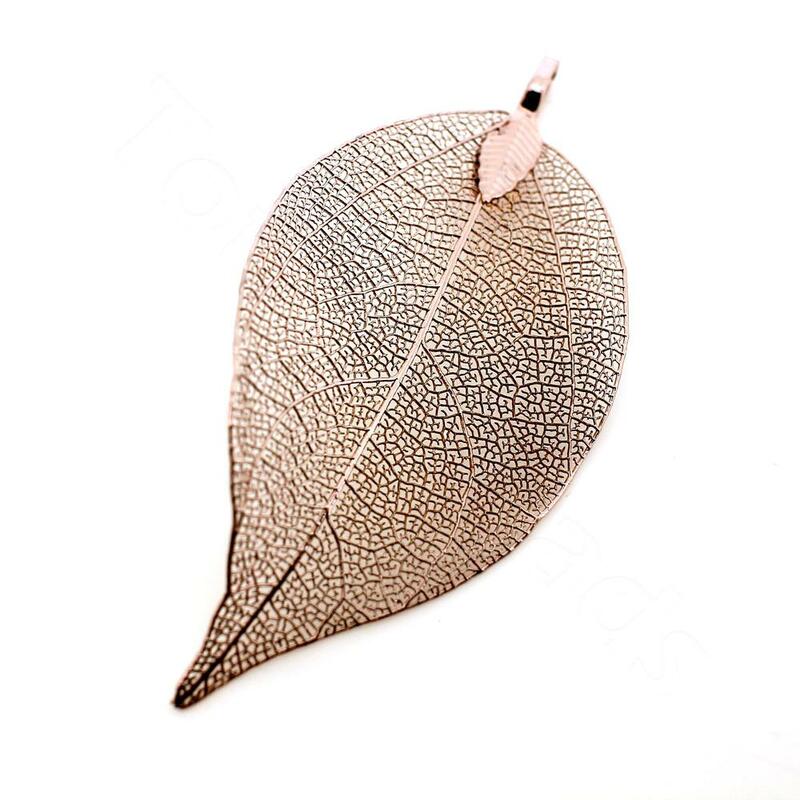 This is a natural small leaf that has been electroplated in pink champagne colour plating. There is a bail with a loop on the top so this can be used as a pendant or to make earrings. As they are natural the size of each leaf will vary and there will be imperfections in the natural leaves so no 2 will be the same.